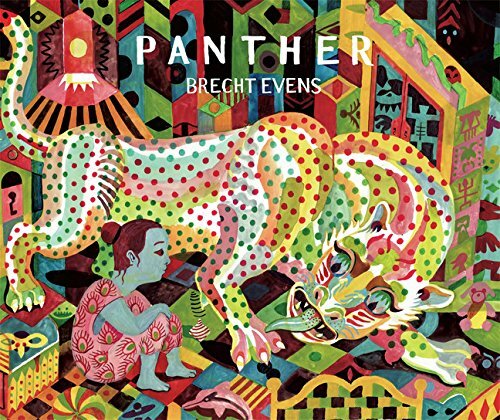 Brecht Evens' Panther is a dark story about how a little girl who's grieving over her cat and was visited by a panther that came out from a drawer. The beautiful illustrations with wonderful use of colours together with the dark tone of the story makes it unnerving to read at times. Who's the panther? What does it want? Why do some of the soft toys have evil smiles on their faces? I actually bought this book from my friend who said it's not suitable to be put at home where he has a toddler. So, yes, the storytelling can be quite dark, images disturbing. Overall, it's a book that's equally as enjoyable as it is mysterious.